MOOCs, or Massive Open Online Courses, are a major new trend in higher education. The teaching format eschews the traditional on-campus classroom in favor of an online learning experience -- with hundreds or thousands of students from across the globe taking part. Professors from major universities develop and offer the courses. The vast majority of MOOCs are free and provide a certificate of completion to students who meet the standards and requirements of the course. Currently Coursera, Udacity, and edX are the three major companies that provide MOOCs in partnership with universities. MOOCs already cover many traditional college subjects (Calculus or English Literature 101, for example), but are increasingly touching on specialized topics. Technicity course logo; posted with permission. 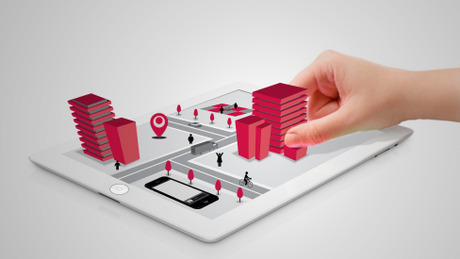 Earlier this month, the first urban planning MOOC launched on Coursera. Titled Technicity, the course is taught by Dr. Jennifer Evans-Cowley of The Ohio State University and Dr. Thomas Sanchez of Virginia Tech. The course focuses on how technology influences life in our communities and how planners and decision-makers can use new technology to better inform planning decisions and connect with community members. For a quick overview of the course, see the video below. While Technicity is the first planning specific MOOC, more are on the way. A five-week course on “Maps and the Geospatial Revolution” by Penn State on Coursera kicks off on June 17. There are also numerous courses on other topics both professional and citizen planners may find of interest -- ranging from environmental sustainability to non-profit budgeting and management. Based on early Technicity enrollment –- for a more detailed look at where students live, after registering for free, check the course website. Graphic prepared by S. Andreason. MOOCs are a great way to quickly and affordably learn about -- or brush up on -- a variety of topics. Given the wide number of participants, they are also a good way to learn about what people and communities are trying in other parts of the country and world. In the Technicity course, for example, there have been over 20,000 interactions on the discussion boards on how to use technology to make a positive difference in community life. The responses have come from across the globe. 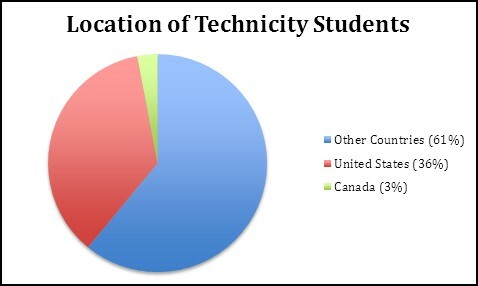 In fact, 64% of the students enrolled in Technicity live outside the United States. The course integrates translation software to break down language barriers. Keep your eyes out for planning MOOCs -- and take a look at Technicity! Do I have to do the homework and quizzes? No! You can just be an observer if you like. You are free to join courses and watch the video lectures and participate in the online discussion. You won’t earn the certificate of completion, but you can still learn a lot. Can I join a class late? Yes! Even if you join a class late, you can still watch all of the lectures and participate in the remaining discussions. But if you join several weeks in you may not be able earn the certificate because homework or quiz deadlines have already passed; it depends on the structure of the course. What is the course format in a MOOC and how does grading work with thousands of students? Courses are based on video lectures, readings, and online discussions with the thousands of participants and instructors. Many courses also integrate social media like Twitter, Facebook, LinkedIn, and Google Hangout to enhance discussion (that’s been the case with Technicity). Also, as I noted, students who complete homework assignments or weekly quizzes can receive a certificate of completion. Since there are so many participants, grading is either automatic (think multiple choice questions) or, for open-ended questions or short reports, peer reviewed. In peer review, each student is randomly given the submissions of several other students to read and provide comments, feedback, and a grade on. All of this is done anonymously. The final grade is an average of all of the peer reviews. Can I watch lectures or read discussions after a class has ended? If you were a participant in the course, then you will have access to the course materials for a limited time after the course has ended. The length of time ranges from a few weeks to a several months. If you had not previously enrolled in the course, you will not have access to the materials. Many courses run multiple times though, so you may be able to join a subsequent session. Do MOOCs ever cost money? Will they in the future? Occasionally, students have to pay a modest fee -- in the range of $50 -- to earn the course completion certificate, but can still take the class for free without paying to be eligible to earn the certificate. Students may have to purchase readings, but many are free or optional. Universities are exploring ways to create revenue from these courses, including allowing students to use MOOCs for college credit, some of which may cost money in the future. There will (hopefully) still be an abundance of free offerings. Inside Higher Education reports that most people enroll in a MOOC to learn more about a topic that they find interesting (39%). Others, 30.5%, use it as a way to sharpen skills for their current job. A smaller subset of MOOC students, 18.5%, enroll to improve their chances at landing a new job. Most participants are working professionals, graduate students, or college students. 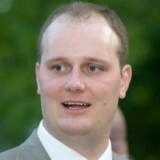 Stuart Andreason is a doctoral candidate in the Department of City and Regional Planning at the University of Pennsylvania where he studies community and economic development. He previously researched civic innovation in community participation. 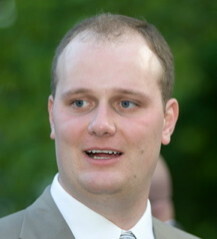 Prior to entering graduate school, he worked as the Executive Director of a Main Street Organization, the Orange Downtown Alliance, in Orange, Virginia. We want to share the following infographic with you -- provided by Sally Roy of onlineschools.org. It provides an in-depth look into the business elements behind Massive Open Online Courseware, including how these schools/providers will actually make money in the future.